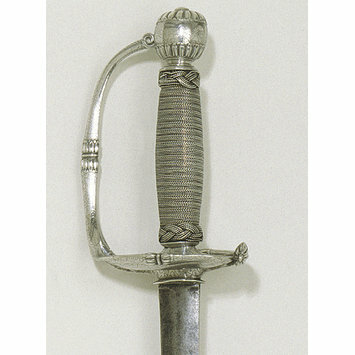 This type of sword is known as a small sword, basically a light rapier (pointed sword). The solid, well-made hilt (handle) and short double-edged blade indicate that it was almost certainly made for an English officer. 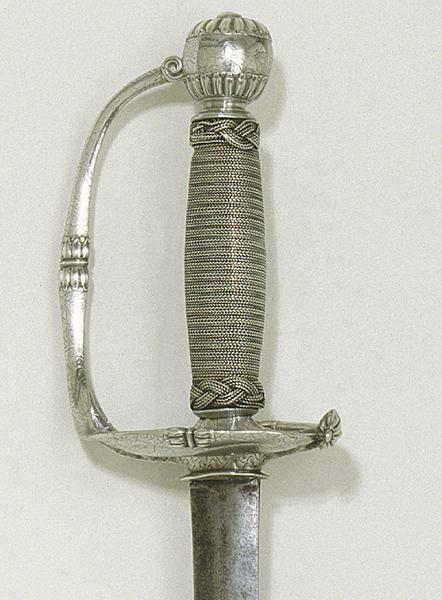 It closely follows in design the brass and steel hilts of the period that were carried by soldiers in the field. The sword would have been worn in a sash from the shoulder and carried at an angle so that the cast and engraved ornament could be seen. In England, a silver-hilted sword was one of the marks of a gentleman. 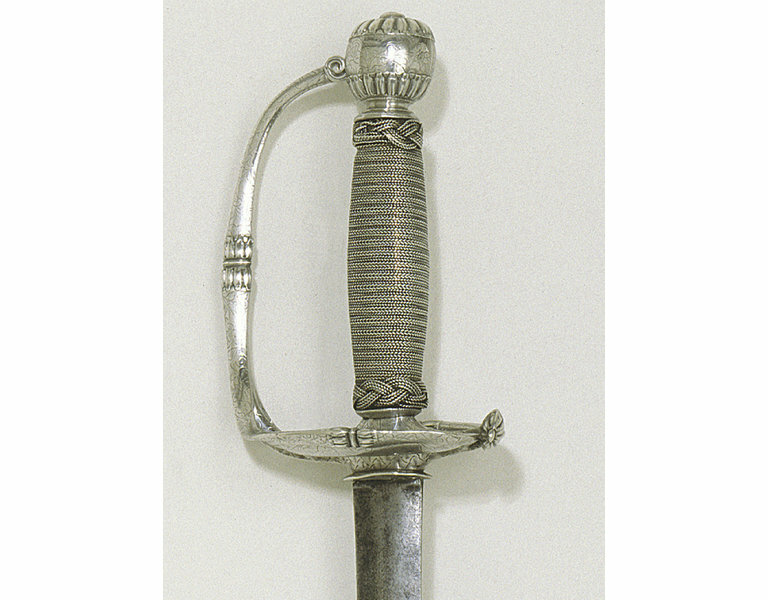 William Badcock, the maker of this hilt, was a working goldsmith. He was admitted to the Worshipful Company of Goldsmiths of London in September 1668, and was also a member of the Longbow String Makers' Company of London. He was the author of a book on the gold and silver trade, A Touch-stone for Gold and Silver Wares, published in 1677, which was enlarged in 1679 as A New Touch-stone for Gold and Silver Wares. In the second edition he drew attention to the many fraudulent practices current in the trade at this period. He specifically mentions sword hilts, so this must have been a substantial part of his business.